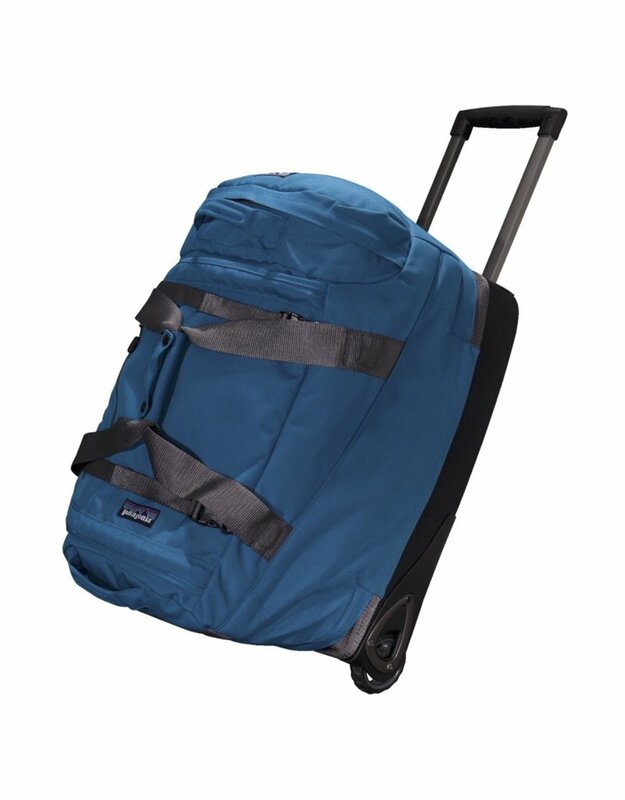 Patagonia Freewheeler Max is a large, multifunction wheeled gear bag that’s meant to travel the world, not put a damper on it! Zipper closure main compartment. ; Zippered end compartment holds shoes and quick-access items. ; Interior mesh pocket holds toiletries. ; Light-colored lining makes contents easy to find. ; Smooth-rolling 80-mm wheels provide plenty of clearance. ; Impact-resistant skidplates withstand bumps and scrapes. ; Molded bottom pan resists abrasion and protects contents. ; Two-position retractable handle makes steering easy. ; Haul handles at either end. ; External compression straps. ; Stowable business card holder lets you ID your bag. ; Batten supports on sides keep bag standing and collapse for easy storage. ; Body: 11-oz 1200-denier 100% all-recycled polyester with polyurethane coating and a DWR (durable water repellent) finish. ; Lining: 3.3-oz 200-denier 100% polyester with polyurethane coating and a DWR (durable water repellent) finish. ; Bottom: Molded foam and ballistics cloth. ; Capacity: 123 Liters. 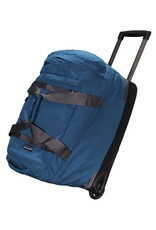 ; Dimensions: 29 H x 17 W x 15 D. ; Weight: 10 lbs 8oz.